Pam’s Pictorama Photo Post: Let us return once again to Felix, one of my favorite subjects. These two outstandingly unusual and interesting photo postcards capitalized on Felix’s appeal to attract an audience for their respective hospital fundraisers (Something in my role as a professional fundraiser I can really get behind.) One can only imagine they did brilliantly – after all, who could resist Felix? Then, just when I thought I would never see another postcard that was comparable, the second one showed up on eBay. While it is hard to see, if you look carefully you find out that each Felix is a tiny photo of a stuffed Felix toy, collaged on. 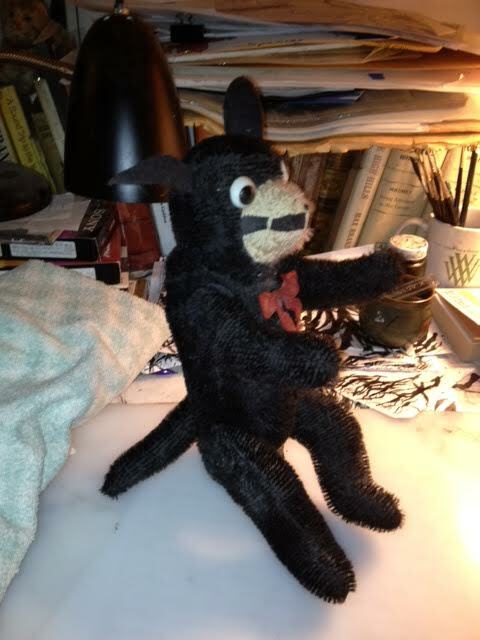 I have supplied a photo of one of my beloved Felixes of the same type, an early addition to my collection, below. I adore this particular style of Felix and much to my surprise I came across someone with an entire basket of them at the Atlantic City antique toy show. That person told me that they were prizes at fairs in the twenties and thirties. They seem too well made for that, and I remain curious but have never heard anything more on the subject. 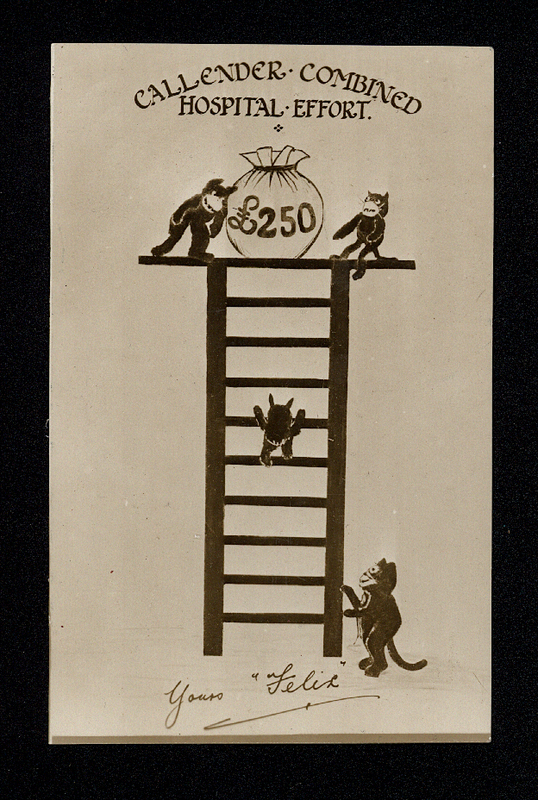 I cannot find any reference to this event – no idea what the ladder is about or what the 250 (bps) refers to – a prize of some sort. This one is unused postally and there is nothing to indicate a date. The person I bought it from said he had no idea what it referred to nor had he ever seen anything like it. (He was entertained by the image of the other one I emailed him however.) All this to say, call in Felix when you want to attract a crowd.